At the Center For Dental Excellence, we don’t believe anyone should ever have to forego dental treatment simply because they don’t have dental insurance. To help our patients without insurance, therefore, we offer our own in-house dental care savings plan. To learn more about the available benefits of our savings plan, as well as information about how to become a member, download our Dental Savings Plan Brochure on this link. Not only do we process most insurances, we also manage the entire insurance process for our patients. We want you to feel confident and comfortable with your dental health choice, so we work with several companies to offer you a variety of affordability options, in addition to offering an in-house savings plan for our patients without insurance. What an experience. From the moment I walked through the door, I knew I was in the right place. The staff was friendly, courteous and professional. The dentist was knowledgeable, receptive, informative and empathetic. They explained my options up front and explained the procedure from start to finish. They were not happy unless I was totally satisfied. Most importantly they were concerned with my comfort and well-being the entire time. What a joy to have someone be so caring and compassionate. That's hard to find these days but I found it there. They changed my life for the better. I know I'll be going there for all my dental needs. Never thought I would say this, but I love going to the dentist. The entire staff makes you feel like you're the most important person in the room. Love the staff. Iím SO happy I had it done. Iíd absolutely do it all over again. If I hadnít done it, I would have spent years of misery trying to fix and maintain my teeth as they were and spent lots more money. When asked if he would refer friends and family members to our practice he responded, ì I have already!î You guys are the best. I love my teeth. They are truly amazing! On one hand I thought, Iím too young to lose all my teeth and be like my grandma! On the other hand, I realized Iím also too young to be suffering with such unhealthy teeth and gums. I have a disease that needs to be taken care of. Before the procedure I had lots of health issues. I wasnít sleeping well, didnít smile much and suffered with lots of pain, especially in the winter when cold air would hit my teeth. After my surgery, I had NO pain. I feel younger and more confident. I smile much more readily. My energy is back and Iím able to complete projects. My social life has even improved! Not only would I recommend the procedure to other people, I would have done it much sooner. ìNatural teeth are overrated. These feel like second nature to me.î The people at CDE didnít just take good care of me, they took GREAT care of me. I loved every single minute of my time there and am very thankful I found them. The team at the Center for Dental Excellence is comprised of the best cosmetic dentists in Flossmoor, IL. Dr. Goldberg, and Dr. Greenebaum pride themselves on providing the highest quality dental care to patients in and around the Homewood and Flossmoor area. Dr. Cary N. Goldberg is one of the premier cosmetic dentists in the South Suburbs. Dr. Goldberg received his Doctor of Dental Surgery degree from Northwestern University College of Dentistry in Chicago. Since his graduation, he has maintained a private practice emphasizing comprehensive restorative and cosmetic dentistry in Flossmoor and the south suburbs. 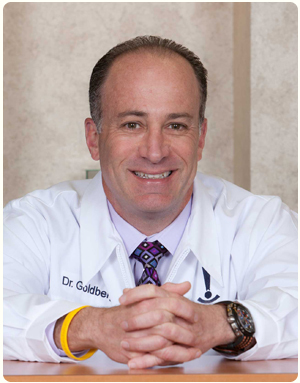 Due to Dr. Goldberg’s commitment to excellence in the art and science of creating stunning, beautiful smiles, he has participated in many prestigious postgraduate dental programs with leading international cosmetic dentists. He is a member of numerous professional organizations including the American Dental Association, American Academy of Cosmetic Dentistry, Academy of Osseointegration, Illinois State Dental Society, American Academy of Dental Sleep Medicine and the Chicago Dental Society. Dr. Greenebaum established his status as one of the best cosmetic dentists in Northern Illinois after receiving his Doctor of Dental Surgery degree from the University of Illinois College of Dentistry in Chicago. For the past two decades, he has been using cosmetic dentistry to transform the way Flossmoor patients look and feel, allowing him to have an immeasurable impact on their quality of life. 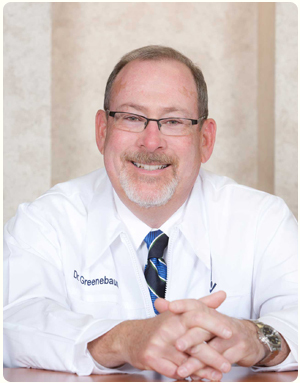 Dr. Greenebaum has an impressive resume that demonstrates his commitment to the ever-changing field of dentistry, specifically the areas of comprehensive restorative dentistry, implant dentistry and cosmetic dentistry. He continues to study and train with the most prominent clinicians in the field. Secure Fit - No slippage, loose or ill-fitting teeth. Comfort - Custom fit to your mouth means they are more comfortable too! Natural-Looking - Your teeth feel and act like natural teeth. Eat All Food - No limit to your diet with permanent denture implants. You can eat all kinds of foods without fear of your teeth coming out. Look Younger - Prevent jaw shrinkage and bone loss with permanent dentures. You can even avoid some wrinkles without a sagging jawbone. Investment - While it is an investment in your health, the results are long-lasting and rarely need replacing. Convenience & Confidence - Never worry about your teeth! Eat, smile, talk, and live your life confidently. Frequent Slippage - With removable dentures, frequent adjustments are needed. Awkward Fit - Removable dentures often grind. Plastic Looking - Feel fake in your mouth and often not as good of a match to your mouth. Limited Diet - With restricted chewing ability, you have to avoid certain foods like steak, corn on the cob, and apples. Look Older - Removable dentures can lead to faster bone deterioration and wrinkles. Less Expensive - In the short run, removable dentures seem less expensive. However, they require frequent updates and replacements that add up over the years. Embarrassing - Denture wearers often worry about their teeth coming out. Denture wearers also hide their smile and may limit certain activities over fear of the teeth.